Tea for Two! When you are ready to unwind and relax, we want you to enjoy our newest tribute Collection with these delightful tea combinations of herbs and flowers. Created for each character in Underland, honoring Lewis Carroll and his infamous book, Alice’s Adventures in Wonderland! 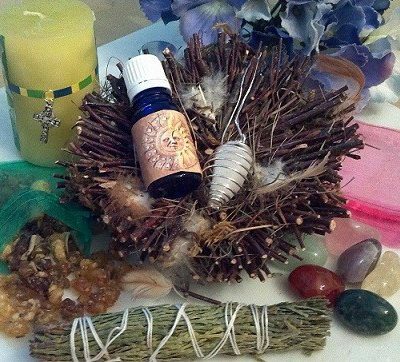 <U * Each MINI-bag of tea is 2 ounces of loose leaf organic or wildcrafted herbs. <U * This is enough tea for two people or 2 – 4 servings. 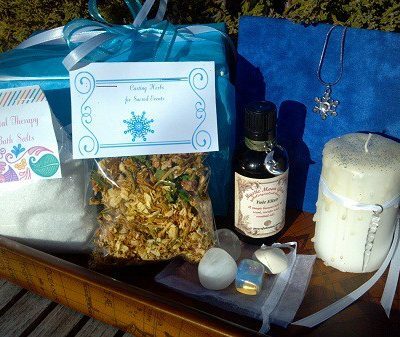 <U * We also include a FREE tea ball to complete your tea party. 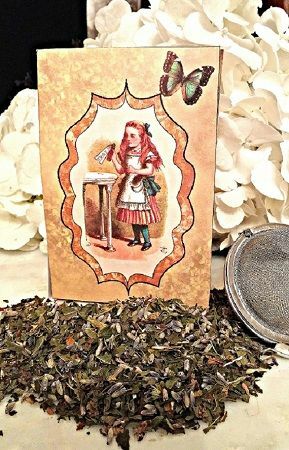 This curious tea is consciously blended using proper peppermint, aloof mint, and a dash of lazy lavender! 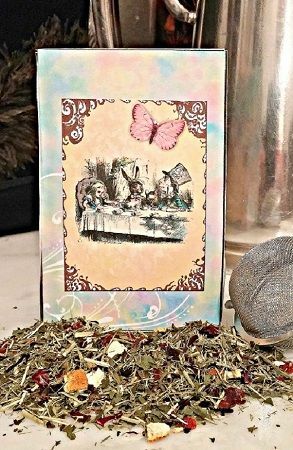 This bright and joyful tea has a kiss of rose hips, loony lemon grass, hysterical hibiscus flower, perky peppermint, zesty lemon and sprinkled with valencia orange peel! 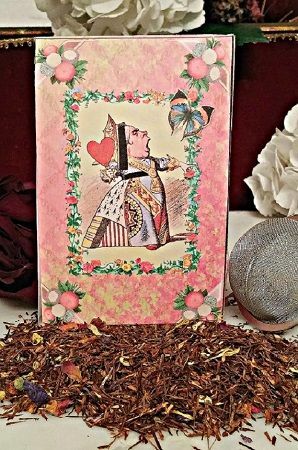 Her crimson Highness enjoys this tea with wicked white rose petals, perfectly pink rose buds, a blush of red roses, riotous rooibos, crafty calendula petals, and wild malva! 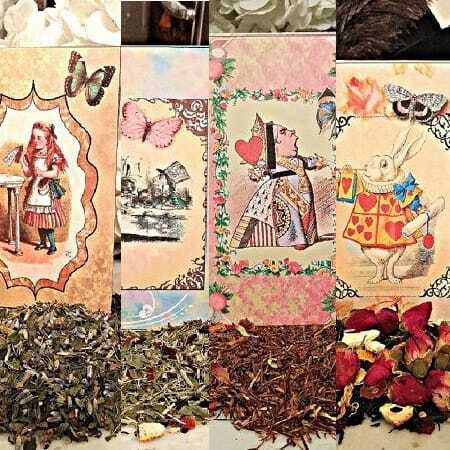 This frantically frivolous tea is a timely blend of rich red roses, black currant tea, reckless rose hips, bright orange peels, crafty cinnamon, and gallant gooseberry. 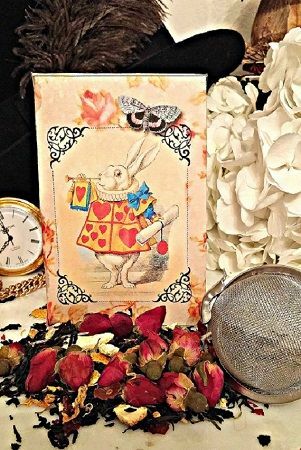 ~ “I’m late, I’m late for a very important date”!